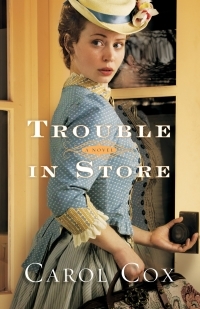 Fired from her most recent governess position, Melanie Ross must embrace her last resort: the Arizona mercantile she inherited from her cousin. But Caleb Nelson is positive he inherited the mercantile, and he’s not about to let some obstinate woman with newfangled ideas mess up all he’s worked for. He’s determined to get Melanie married off as soon as possible, and luckily there are plenty of single men in town quite interested in taking her off his hands. The problem is, Caleb soon realizes he doesn’t want her to marry up with any of them. He’s drawn to Melanie more every day, and he has to admit some of her ideas for the store unexpectedly offer positive results. But someone doesn’t want the store to succeed, and what used to be just threatening words has escalated into deliberate destruction and lurkers in the night. When a body shows up on the mercantile steps–and the man obviously didn’t die from natural causes–things really get dangerous. Can Melanie and Caleb’s business–and romance–survive the trouble that’s about to come their way? Trouble in Store caught and held my attention from the get-go. The story isn’t new, young-woman-in-straightened-circumstance-in-the-old-west has been done many before, but Cox’s flair for story-telling captured my attention and pulled me through to the last page. The blossoming romance between Melanie and Caleb intertwined with the slow burning mystery kept me guessing for much of the book, flipping back pages to see if I could catch the bad guy before all was revealed. There’s also no mistaking that these characters are people of faith—though their flaws are many they seek the Lord and grow in character and faith as the pages turn. The story felt genuine and the mystery intriguing. A great way to pass a summer day! “Book has been provided courtesy of Baker Publishing Group and Graf-Martin Communications, Inc. Available at your favourite bookseller from Bethany House, a division of Baker Publishing Group”. 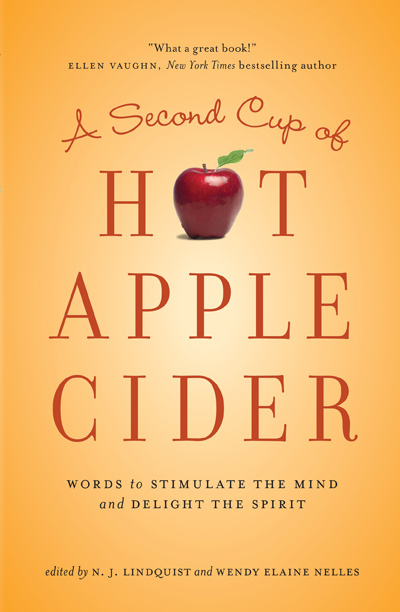 Hot Apple Cider - the book - is a best-selling inspirational anthology with 45,000 copies in circulation. It makes a terrific gift for someone in need of a little encouragement, or great reading for someone who simply enjoys a variety of stories written by "real" people with real faith! Hope Harbor – A balm to your soul. A Worthy Pursuit by Karen Witemeyer: An adventure you don’t want to miss!